This is a guest post by Richard Luuba, Program Manager at Educate! Thanks to our partner Segal Family Foundation, I was able to travel to Northern Uganda on a learning visit to gain insight into how to expand Educate! 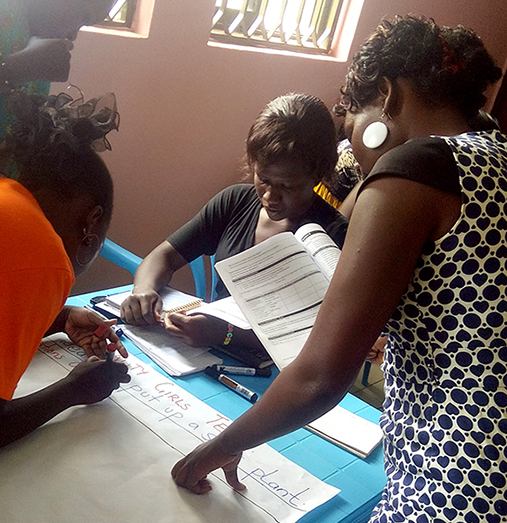 's leadership and entrepreneurship training--which is currently delivered in 250 schools across central, eastern and western Uganda--into secondary schools in Northern Uganda, a region that suffered from a 20-year-war. After numerous meetings earlier this year in Kampala, I finally set foot in Gulu, the heart of Northern Uganda. For close to a week, I spent time interacting with locals, seeking out the entrepreneurial potential, examining the recovery path, enjoying malakwanga' (a local traditional delicacy of a cooked bitter vegetable and groundnut paste), and taking boda (motorbike) rides deep in villages, all to understand what it takes for NGOs like BRAC to gain ground in a post-conflict region. My discovery reinforces my earlier learnings from War Child, an organization that provides support to children who have been impacted by war, on the four pillars necessary for implementing a program in a post-conflict area. These pillars will be essential for Educate! as we scale our award-winning skills-based secondary school model into the northern region. Pillar #1: Understand the People. This speaks to the culture of the ethnic groups of the region. Community initiatives are more likely to prosper in new areas when people are attached to the cause. Without community buy-in, the intended benefits of any program may be met with skepticism. BRAC Scholarship Manager, Lukwiya Geoffrey, is quick to point out how you can never be sustainable if you do not understand the background of the community or their cultural history. 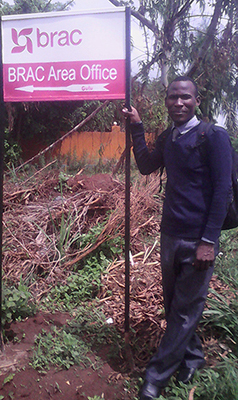 Northern Ugandans understand their own people best, which eases buy-in when introducing new program aims and models. Educate! has therefore strategically decided to recruit, train, and hire the expansion team of program implementers from the local area to leverage this pillar, building the program from the community for the community. Pillar #2: Local Leadership as a Bridge to the People. It's important to take time to know who really has authority in a society and how the districts are managed, from traditional chiefs to government administrative unit centers. Programs will only get buy-in if they have been stamped and blessed by area leadership. The people listen and cooperate with their leaders as part of their cultural tenets. Being an area recovering from war, people from Gulu are often skeptical of new things irrespective of their aims. Therefore, local leaders embody a trust-building backbone to these healing communities and are integral to the successful implementation of any new initiative. Educate! 's expansion team recognizes the influence of local leadership, which is why we made program pitches to each district's local government official and extended an invitation for them to attend our program launches, knowing that their attendance would yield affirmation of our program in their schools. Pillar #3: The Next Level Product - Empowerment. 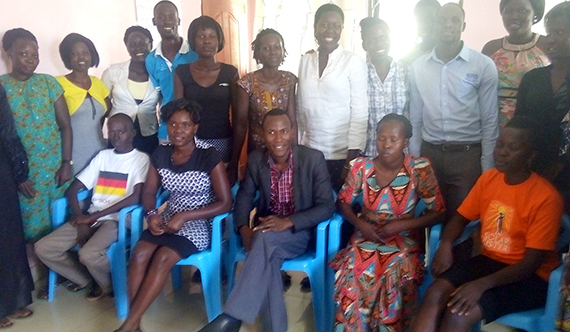 Although NGO handouts may be acceptable in the immediate years following war, they are not acceptable after 10 years, nor now, for the northern region of Uganda. From deep in the village corners and up to their leaders, the people are critical, observant, and keen to have a better life. They know the skills that will improve their livelihoods. The region has a number of key projects in agriculture, with many organizations helping them to gain traction, including BRAC's support of women through community clubs, scholarships, and livelihood programs with low interest loans. Currently, many youth have a basic education, can speak English, and are ready to jump on the next opportunity. The potential and hunger for an entrepreneurial platform is evident. Therefore, empowerment programs are met with enthusiasm. For example, Educate! 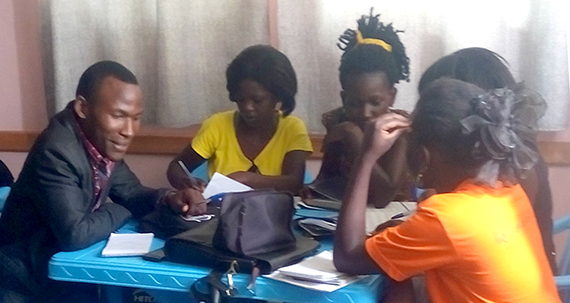 offered an entrepreneurship short-course to Gulu youth with 20 available seats, yet facilitators were met with over 100 applicants. Educate! is using the best personnel from the region to empower youths as young leaders and entrepreneurs to drive sustainable transformation. Pillar #4: Watch Your Costs. For any recovering area, lots of destruction has taken place, including infrastructure. The roads go halfway there, markets are distant, and there are fewer quality education and health services. With little available, there is an atmosphere of high demand, resulting in higher budget lines. However cost-effective your plan may be, it's important to know that accessing such areas will come with certain increased costs. This pillar fits well into Educate! 's existing culture of cost-effectiveness and we are using this knowledge to plan our budget appropriately. During my time in Gulu, I experienced the warmth of the Acholi people, through tasting local foods and boda rides and conversation. I look forward to returning in 2016, when Educate! will implement our programs and help empower youth with skills to combat unemployment.